Here is the fourth and last edition of Highland Park's Valhalla Collection: Odin. 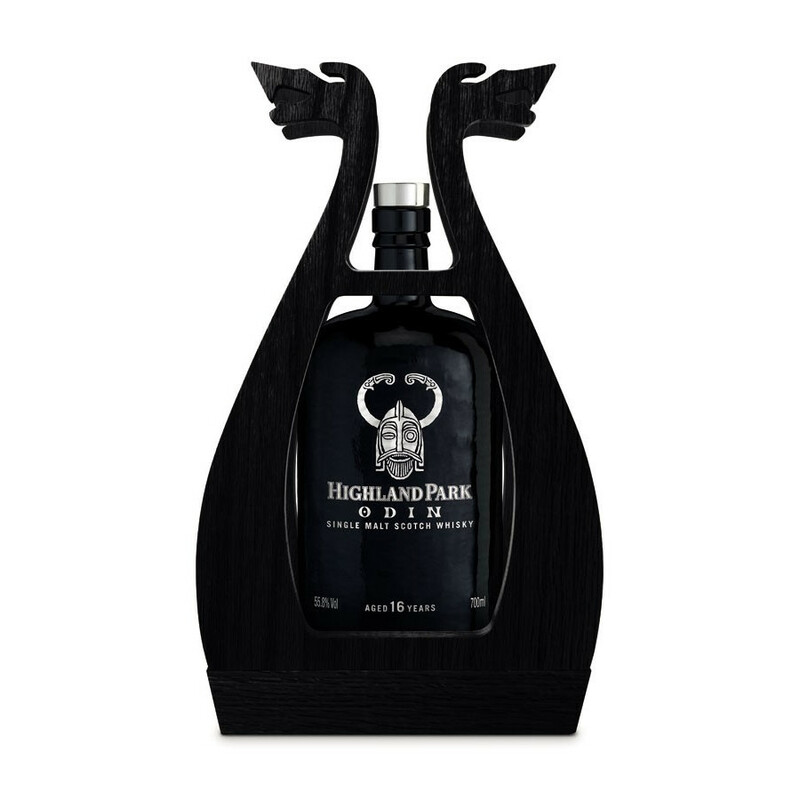 Here is the fourth and last edition of Highland Park's Valhalla Collection: Odin. In scandinavian mythology, he is the All Father, the ruler of Asgard who sacrificed an eye to drink from the Well of Wisdom. He also was the father of Thor and is legendarily famous for riding a horse with eight legs. Highland Park's Odin is an intense, powerful 16 Year-old Single Malt Scotch whisky, matured in first-fill Sherry casks and refill hogsheads. Highland Park is the most northern Scottish distillery, and overlooks Kirkwall town and the famous Scapa Flow. At the end of the 18th century, Magnus Eunson, pastor and famous smuggler, would have distilled whisky where the distillery is now sat. He used to hide stocks of illegal whisky under his pulpit. Highland Park doubled its production capacity in 1898, 10 years after being purchased by James Grant from the Glenlivet distillery. It has been part of the Highlands Distilleries Groups since 1937. The cask harmonization grants consistency and balance. Colour: vivid burst of sunlight. Entirely natural in colour, this whisky is a glowing representation of Odin’s distinct and mighty character. Nose: this intense whisky possesses a fierce spicy character. Cinnamon bark and nutmeg rise from Odin’s spirit. Behind the spice, toasted walnuts smoulder with pulsating explosions of smoke. Odin cuts an ominous figure and this whisky is no different.